Annaleece by DeVries High Quality Fashion 22k Gold and-or Rhodium plated with a Pewter Base.Hypo Allergenic, Nickle Free, Crystallized with Swarovski crystals. High quality fashion Jewelry platted with 22K Gold and-or Rhodium on a Pewter Base (Rhodium is a member of the Platinum Family) Hypo Allergenic - Nickle Free - Made with Swarovski ™ Crystal. Money Clip-Black. Size: 2.8 inches X 1.8 inches. Brink Gifts unique collection of gifts that represent value and style. Brink - Identity Matters from Present Time Contemporary Gifts and Home Decoration Items. Ojai Bracelet Size: 8 inches. Unisex Bracelet, Fashionalble and Stylish for Men or Women. By 2 Chic Two's Company. Fine Causual Unisex Jewelry and Gifts. Ojai Bracelet Size: 8.5 inches. 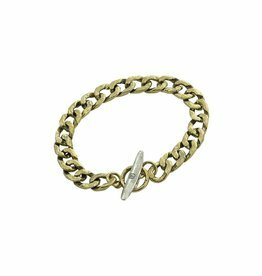 Unisex Bracelet, Fashionalble and Stylish for Men or Women. By 2 Chic Two's Company. Fine Causual Unisex Jewelry and Gifts. Ojai Bracelet Size: from 8 inches. Unisex Bracelet, Fashionalble and Stylish for Men or Women. By 2 Chic Two's Company. Fine Causual Unisex Jewelry and Gifts.